The perfect combination of savory, cheesy goodness with just a bit of spice. 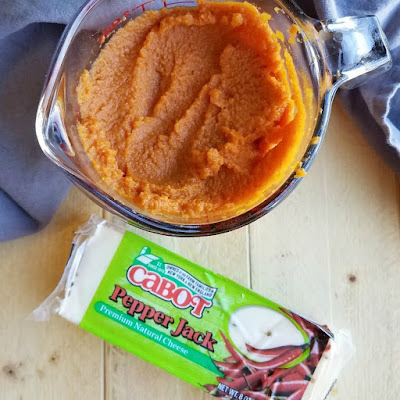 Pumpkin pepper jack macaroni and cheese is a delicious and fun side dish that will have them asking for seconds. 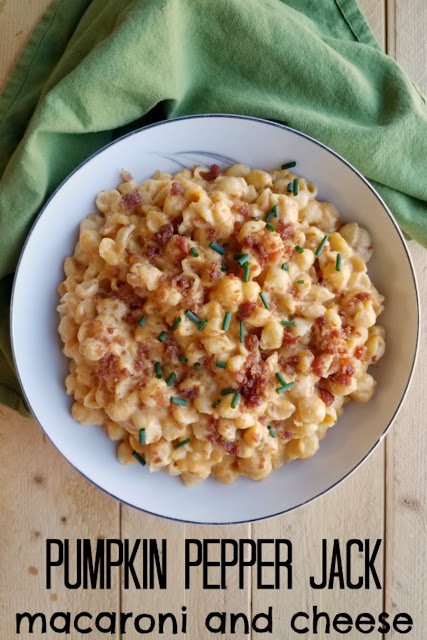 This recipe has everything you'd want in a gourmet macaroni and cheese. There's the pasta, the cheese, the bacon... and the pumpkin! Even if you're skeptical, you should do yourself a favor and give it a try. I created this recipe on a whim. Whem thinking pumpkin, my brain naturally tends to think sweet. There's the cheesecake stuffed pumpkin bundt cake, pumpkin ooey gooey butter cake and even pumpkin pie baked oatmeal for a more virtuous treat. Now don't get me wrong, I know pumpkin works in savory food as well. We loved Lisa's pumpkin soup and apple ale pumpkin chili after all. But it's just not where my brain tends to go. Instead of just whipping up pumpkin dessert after pumpkin dessert, I thought it would be fun to push myself out of my comfort zone a bit. Now adding squash to macaroni and cheese isn't completely foreign to us. 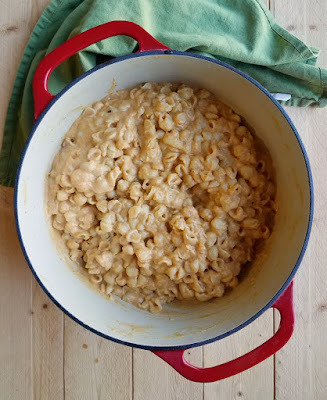 I made an acorn squash macaroni and cheese years ago. But this time pepper jack was calling my name. I don't know why really, but pumpkin pepper jack macaroni and cheese was tumbling around in my head. At first I thought it was a wonderful idea, but then I wasn't so sure. So I did what one does when faced with a dilemma and looked on pinterest for recipes. I figured I'd read some comments and reviews and see if other people think combining pumpkin and pepperjack is a good idea. Unfortunately I didn't find much. I suppose I could have taken that as a sign that it shouldn't be done, but instead I forged on. Do you know what? I'm glad I did! 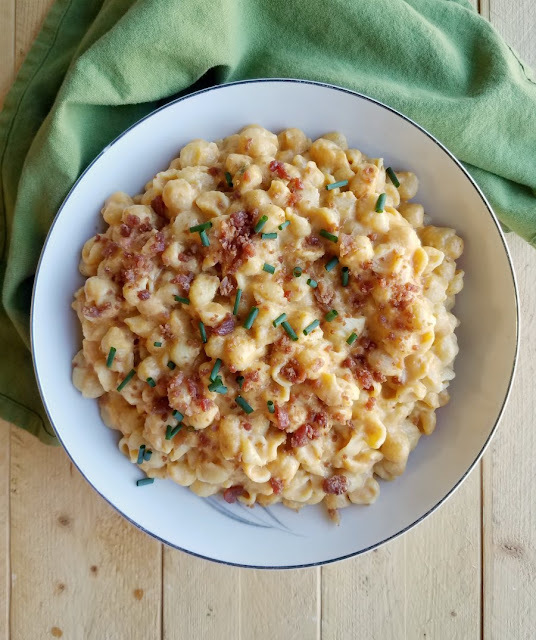 This recipe has the perfect balance of savory saltiness from the bacon, earthiness from the pumpkin and creamy cheesy spice from Cabot's delicious pepperjack cheese. Now my husband thinks he doesn't like pumpkin. Little Dude avoids pepperjack for fear of it being too spicy. So I pulled a sneaky kitchen magic trick and made it when neither were looking. My boxed mac and cheese loving guys enjoyed it. They went back for seconds even! Good thing I neglected to tell them what it was! 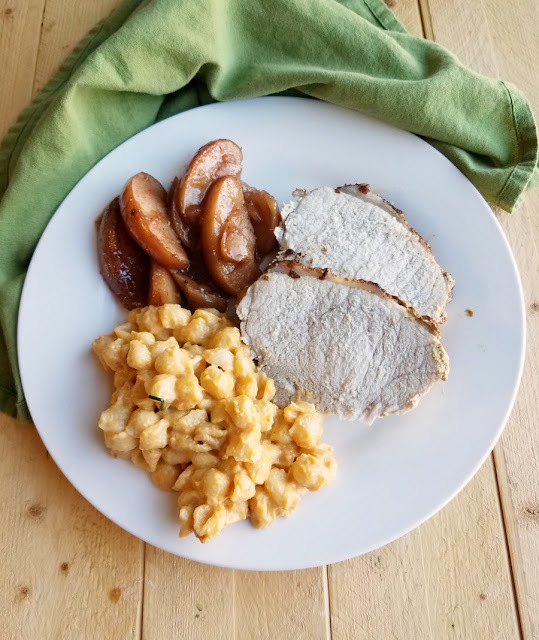 The pumpkin gives the mac and cheese a natural orange color. It also keeps the mac and cheese from feeling too dry. 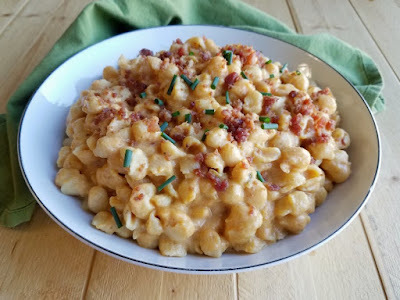 The cheese added just a bit of spice and that creamy cheesy goodness you'd expect in a good macaroni and cheese. I highly advise you don't skip the bacon. That smokiness really ties the whole thing together. While I'm sure it would be good without, it is great with it. Though I can't say I'm surprised, it is bacon after all! Cook your pasta to al dente, drain and set aside. In a large pot, melt bacon grease or butter over medium heat. Stir in flour and cook for a minute or two, stirring frequently. Continue stirring while pouring in the milk. Season with salt and pepper. Cook, stirring, until the mixture starts to simmer and thicken and then drop the heat to low. Cube or grate the pepper jack cheese. 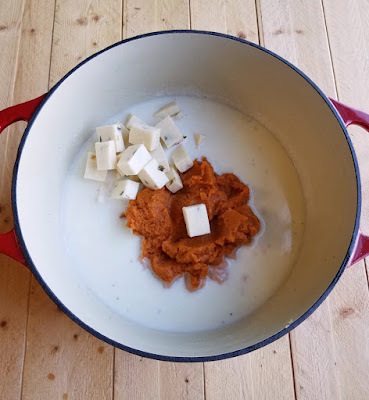 Stir the cheese, pumpkin, mustard powder and garlic into the thickened milk. 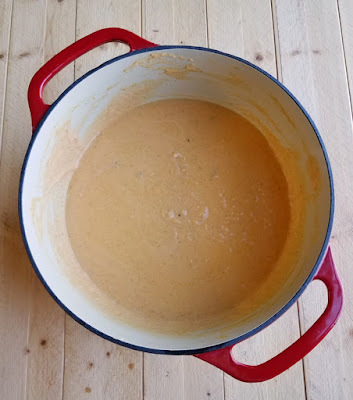 Heat until cheese is melted and the sauce is smooth. Stir in al dente pasta. Add a splash or two additional milk if needed. Chop the crisp bacon and stir most of it in, reserve a Tablespoon or so for garnish. Adjust salt and pepper to your liking and add some red pepper flakes if you want it spicy! I'll bet that pepperjack really kicked it up a notch. This has to be the best macaroni and cheese EVER! I love pepper jack, and I love pumpkin in savory food. An extra large helping for me please! This dish sounds very interesting. It is definitely not something that I would have thought of putting together. I guess that I'll have to give it a try. Thank you for sharing. As I was reading, I was wondering if this would be husband approved. You are genius Carlee! It is an unusual combination, but I trust you and will have to make this some day... When husband is not watching, lol! Congratulations on the feature on Friday Frenzy. Enjoy your weekend.